Living in Florida has benefits and drawbacks just as anywhere but here we have the additional stress of watching the tropics for developing storms from June 1 to November 30. Our local emergency management officials work hard to inform Florida residents of preparations to take in advance of an approaching storm. Most Floridians have learned to heed these warnings and ensure their Hurricane Kit and Evacuation Plans are complete. One thing we may not be prepared for is the resulting insurance claim we may need to file. Homeowners with non-related individuals living in their home, such as a significant other or roommate, need to be aware that their homeowners insurance will not cover their roommates. A homeowner’s insurance policy only covers the belongings of the named insured on the policy and their direct cohabitating relatives. This means that someone living as a roommate to a homeowner will need renter’s insurance. Renter’s insurance would protect their personal belongings from theft or damage while living in someone else’s home. If you are renting a home, be cautious of assuming that the homeowners insurance will cover your loss. Homeowners who offer a home for rent while they live elsewhere often opt for insurance coverage that excludes personal contents. These lower cost policies protect the dwelling and problems caused by the dwelling only. The quick answer is – not if the storm is too close. Once a named storm is within a designated hurricane watch zone, insurance companies initiate a moratorium on selling policies or allowing alterations to an existing policy. This means the company will not allow the sale of any insurance policies or additional coverages to the affected area no matter how much you may be willing to pay. Once the storm has passed, the moratorium will be lifted but at that point, it is too late. 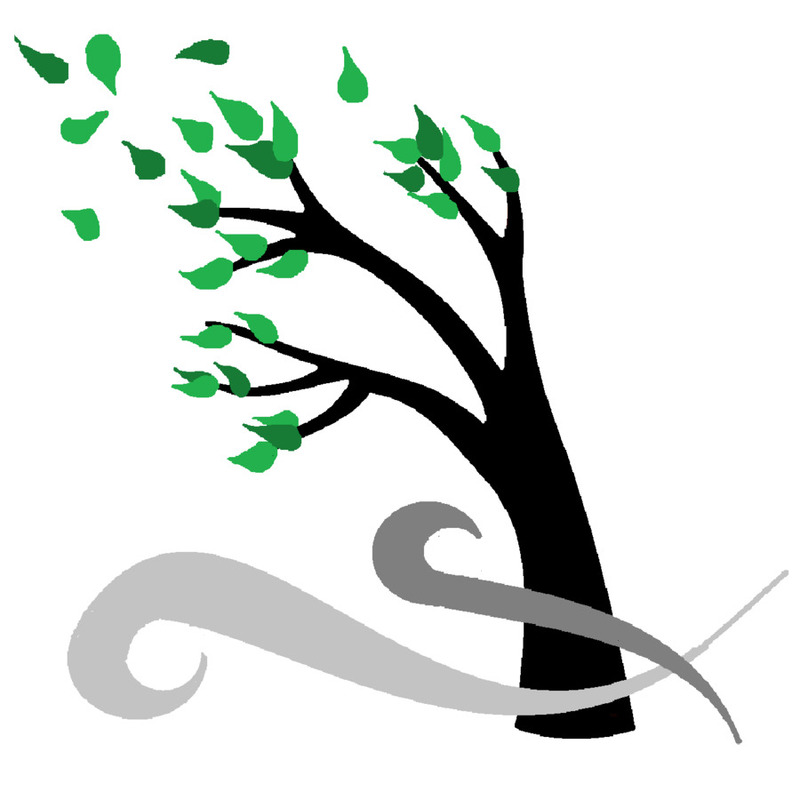 Any policy you purchased or made changes to after the storm would not cover any damage caused by the storm. 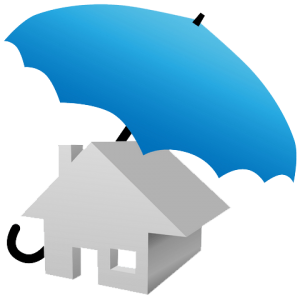 Property insurance is designed to “restore your property to the condition in which it existed at the inception of the policy period”. To be clear, an insurer will not pay for an intentional improvement to your property while making repairs. When selecting property coverage, it is important to know the two basic ways that it is categorized. Many policies are designed to cover “open perils”. This means that some specific causes of loss may be excluded from the policy. So if you felt you needed coverage for incidences like an earthquake, flood, sinkhole, nuclear incident or acts of terrorism, you would probably need an additional “named peril” policy that would cover any one of those specific causes of loss. In additional to common and named perils, a property owner must also decide between policies that cover the replacement cost of the property or the actual cash value. Premiums for replacement cost coverage tend to be a little higher than actual cash value policies. This is because the insurance company does not take into consideration the depreciation or appreciation of the covered item. They simply pay to replace or repair the property with like and kind quality. For example, if your $1,000 couch purchased five years ago were damaged in a valid claim, the insurance company would not consider the years of wear and tear on the couch but provide you enough to buy the same couch again at today’s prices. When selecting property insurance, you will have to select your deductible. A deductible is a fee that is incurred when a claim is filed. The amounts to choose from can range from $250 to $2,000. The higher deductible amount, the lower the annual premium costs will be. While it is tempting to save money on property insurance by selecting a high deductible, be sure you have the funds available to pay that higher deductible should a loss occur. It is not advisable to file a claim for a loss that will potentially cost less to restore than the cost of the deductible. 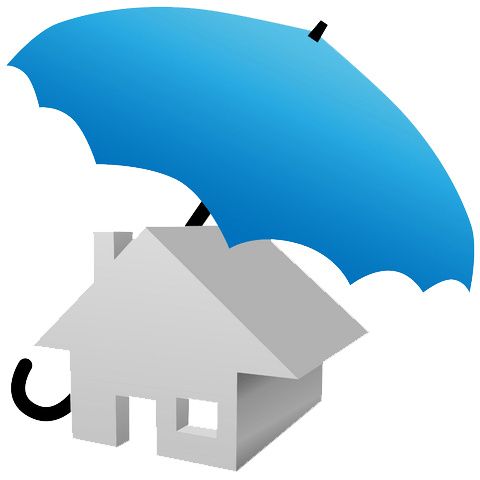 Property insurance policies will include named storm coverage and property owners must choose their deductible percentage. Named storm or Hurricane deductibles are not a flat amount as is the case for other causes of loss under the policy. 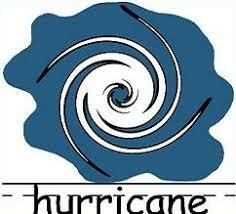 Hurricane deductibles are set as a percentage of the property value. For instance, if you have a $200,000 home insured with a policy with a named storm deductible of 3%, the deductible will be $6,000. If that home sustains wind driven rain or hurricane-caused damage, it would only make sense to file the claim if the property owner determined it would cost more than $6,000 to repair it. Another policy consideration has to do with loss of use. Loss of use is an optional coverage that pays alternate living expenses, such as lodging and meals, if your property is rendered uninhabitable. Once you have selected the proper policy for you and your property, you will receive a copy of the policy. The policy is delivered in either an electronic or a hard copy form. First, you will want to determine where this policy will be stored. Electronic files are handy because they can be stored on a flash drive, in the cloud or on a computer hard drive for easy access. A paper copy should be stored in a waterproof location that is easy to locate and take with you should you have to evacuate quickly. Before you store the policy though, take time to read it. Some key points to verify are located on the declaration page, usually found in the first few pages of the policy. The declaration page is a summary of your policy. Coverage limits and categories, deductible amounts are included along with the named insured and property location. The information you will need to know to file a claim is also on the declaration page. This includes your policy number and where to call to initiate the claim. Often times, you will report a claim directly to the insurer or their claims administrator, not the insurance agent you may have worked with to secure the policy. If a named storm is expected to impact your area, there are some steps you can take to ensure a successful outcome should you need to file an insurance claim. First, document your possessions. Take pictures of everything in your home and take photos of your automobiles. Start with wide-angle shots of rooms from different angles. Then, move in for pictures of contents in drawers, closets, cabinets, shelves, etc. In the event of a claim, this documentation will help to ensure the maximum payout. For instance, if you can prove through photographs that you owned 10 pairs of jeans valued at $20 each at the time the storm destroyed your closet, you have documented at least $200 worth of lost belongings. The same concept goes for shoes, dishes, towels, garden tools, and more. The more you can document your loss pre-storm, the easier it is for the insurance company to justify a full reimbursement for the contents portion of your insurance policy. Second, do all you can to protect your property. The insurance company took into account all those safety features you have already installed on your home when they calculated your policy premium. Items like impact-resistant windows, hurricane shutters, and garage door supports can help save you money when purchasing insurance. However, if you have those items and do not put them in place when a named storm approaches, you can void chance of reimbursement for losses when you file a claim. As soon as safely possible after a storm passes, there are two immediate property priorities: (1) assess the damage, (2) mitigate any further damage. As you assess any damage, be sure to document with photos as well. These pictures may be important to a claims adjuster, especially if they need to see the original damage after you have taken steps to mitigate. Cover any holes in a roof with tarps. Remove wet carpet and furniture to prevent mold and mildew. Cover broken windows and remove debris if possible. Not taking steps to prevent further damage can give your insurance company grounds to deny or reduce your claim. Lastly, do not be afraid to file a claim. Some property owners feel that filing an insurance claim may cause their insurer to deny future policy renewals or raise their insurance rates. They may be reluctant to file a claim. 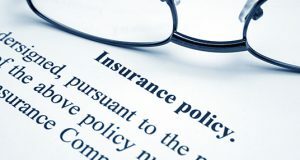 It is true that insurance companies usually have an internal policy to deny future coverage for a property owner who has filed more than the allowable number of claims. However, a named storm or major weather event is referred to as a “CAT’ and will be assigned a “CAT number” by state insurance regulators. When you file a CAT claim, the number associated with the CAT is noted in the claim record. Now, it should not to be considered as a traditional claim when the company reviews your account for policy renewal. If you are not sure if your damage was enough to cost more in repairs that the deductible on your policy, go ahead and file the claim anyway. A claims adjuster will review and make the determination of a valid claim. A withdrawn claim should not affect future policy purchases. Alternately, if you are sure the damage you sustained would not cost anywhere near the amount of the hurricane deductible to repair, then do not try to file a claim. This will take the claim adjusters away from those who are really in need of assistance in the immediate aftermath of the storm. You can always document the damage, mitigate or repair and wait a week or two to file the claim. Once the decision is made to file a claim, the next step is to do this properly. The declaration (Dec) page of your property insurance document should have all the information you will need. This is the one page summary of your policy including coverage amounts, policy enforcement dates, policy number and claims reporting details. You may be tempted to contact your insurance agent directly, especially if you have a positive relationship with that agent. Unless directed otherwise on your policy Dec page, avoid calling your agent. Keep in mind that your agent may be dealing with their own insurance issues, especially if they live nearby. Even if they are not, they are probably fielding misdirected claims calls. The contact information for reporting a claim is found on the policy’s declaration page. You will be asked to provide the policy number, brief description of damage and how it occurred. Give them your best contact information. If you have had to relocate due to damage, make sure to report this. The insurance company will assign your claim to an adjuster who will arrange for a site visit as quickly as possible. They will also assign a claim number that you will reference regarding all future communication. This claim number and the Adjuster’s name and contact information are important pieces of information to document and refer to as the claims process progresses. A public adjuster may approach a policyholder, offering to help settle an insurance claim on their behalf. A public adjuster has no relationship with your insurance company. They can charge a fee of up to 20 percent of the insurance settlement for their services. Your insurance company provides an adjuster at no charge to you. However if considering public adjusting services, use caution and be aware of your rights. Check the references and qualifications of any public adjuster. Be wary of public adjusters who go from door-to-door after a catastrophe. Once you have signed a contract with a public adjuster, be aware that the insurance company’s claims staff can no longer work with you directly to resolve the claim. Public adjusters can assist with a claim but cannot get you more money than you are entitled to under your insurance policy. Insurance companies pride themselves on their claims closure rates. This can be both positive and negative for the consumer. A straightforward damage claim can be repaired and resolved quickly and a consumer’s property restored to its original condition after minimal interruption. However, this time limit may motivate an adjuster to under-estimate losses and perhaps under-pay a claim. Adjusters will work to resolve a claim within sixty (60) days of filing to maintain industry standards. Those standards go out the window when there is a major catastrophe. Insurance companies may hire additional staff to handle the workload but the scope of the damage may still be overwhelming. At this time, patience and diligence are key tools. After the initial inspection, your adjuster will provide a written estimate of repairs needed. Review that list carefully. Make sure it includes all of the storm damage you have noted. Feel free to obtain your own written estimate from a licensed contractor if you feel the insurance company’s estimate is not accurate. You will not be reimbursed for the cost of such directly; however, you may be able to recover the cost if or when the insurance company adjusts their figures accordingly. Remember, estimates are not set in stone; they are starting points for fair negotiation. If there are circumstances that alter the accuracy or viability of the insurance company’s estimate, be sure to communicate with your adjuster. Keep in mind, however, that the purpose of insurance is to restore the property to its insured condition, not to improve it. Once a dollar amount is agreed upon, the insurance company provides a check. It is the responsibility of the property owner to make the repairs. The insurance company will make out their payment to whomever is the named insured on the property mortgage. Do not be surprised when your check from the insurance company is also made out to your mortgage holder. They own the property too, and they have a stake in knowing that the property is restored as intended. In fact, you may need to contact your mortgage holder to find out how they would like you to hold those funds until expended. You will be responsible for paying any additional repair or improvement costs. Remain in contact with your adjuster and insurance agent while the work is in process. Make sure the insurance company is notified when all repairs are complete. Experiencing a major tropical event is highly stressful in itself. Dealing with property damages from the storm can be just as bad. It helps to have an understanding of the insurance claims process, some of the terminology, and your consumer rights and responsibilities as you navigate the process. Many thanks to Orchid Underwriters Agency, Inc. staff for their comprehensive review of the information provided herein.